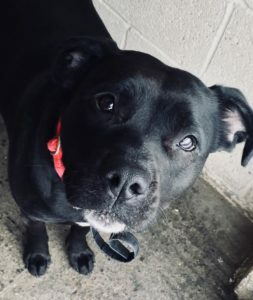 Ella the gorgeous Staffy cross is 2 yrs old and is the biggest cuddle monster going! 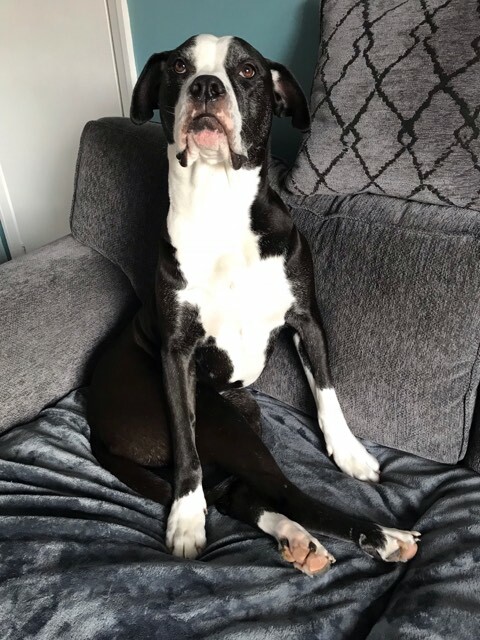 She is currently in a foster home living with children of all ages, and is brilliant with them, however may be too much for more nervous children as she is very giddy! 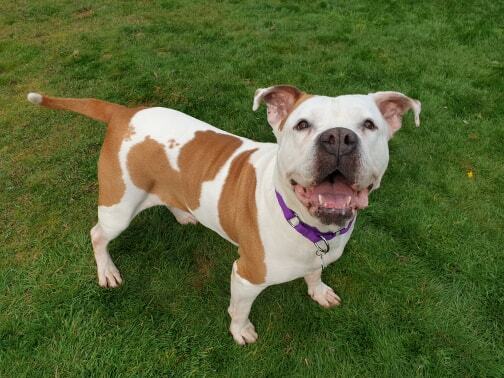 Ella will make a great family dog, she loves to be centre of attention and will literally wrap her paws around you for a hug! 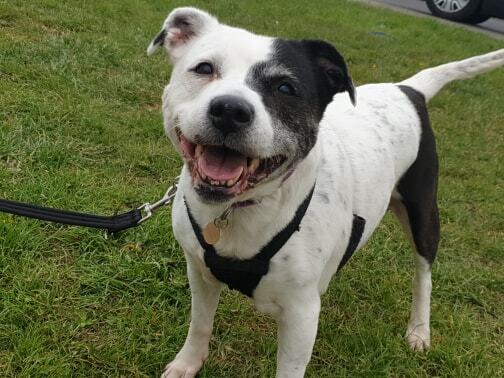 She is very good around the house, is fully housetrained and fine to be left for a few hours. 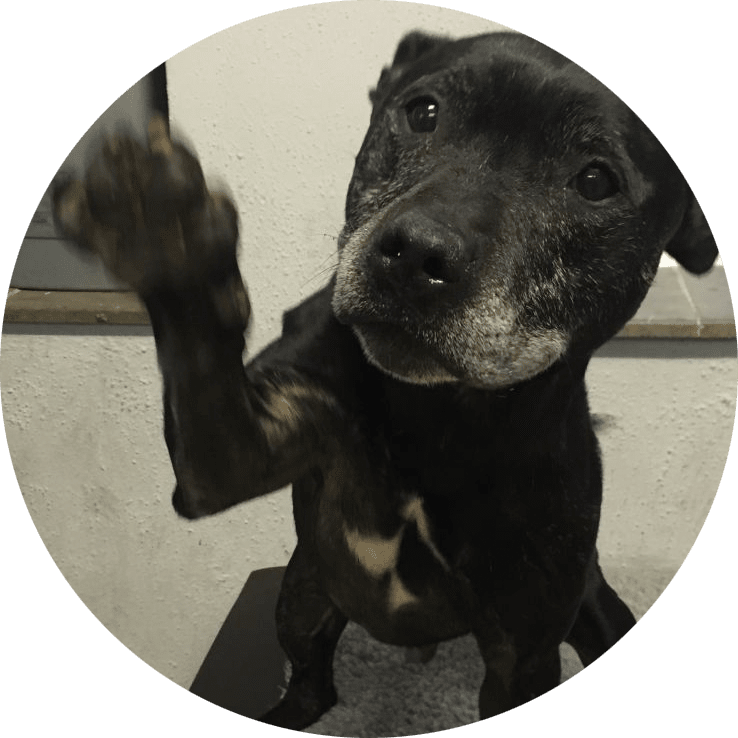 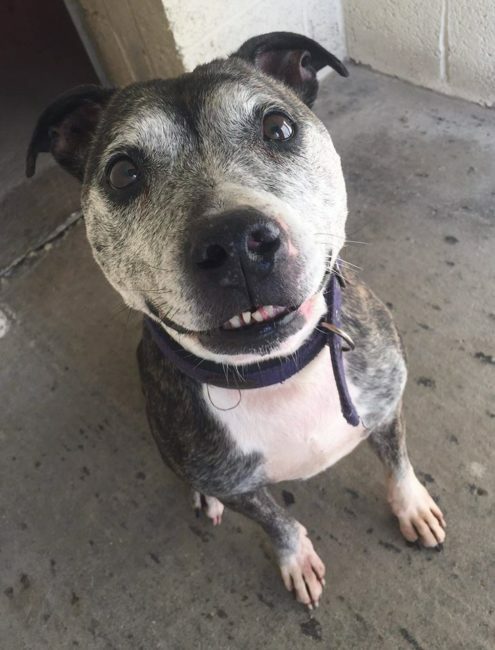 She gets really giddy when people come in, and is so happy to see people – typical Staffy! 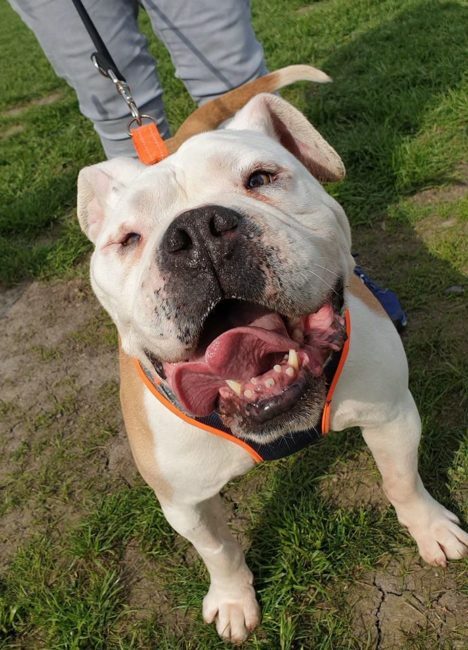 Ella loves her walks, and walks well on the lead, just pulls if she wants to sniff something interesting! 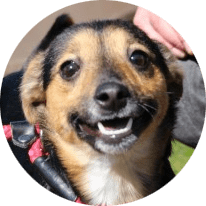 We would like to rehome Ella as the only pet, she seems a bit grumpy with dogs in her space and wouldn’t want to share her home. 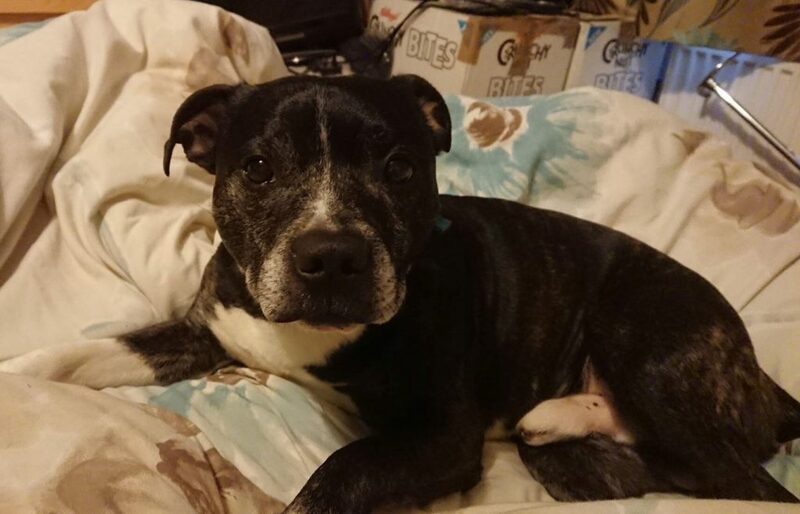 A home with some Staffy experience would be great for her, she’s a perfect family dog for people who know and love her breed.